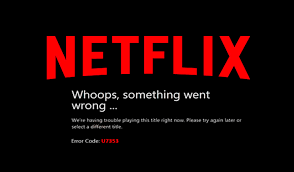 If you are facing error with your Netflix app and looking at your message Error Code 2.101 this may happen because of data on your Android or Tablet. First step to clear the data on your Netflix app. You have to look for Netflix app in your programs and remove the cache and remove cookies. If the above steps don’t work you will have to uninstall the Netflix app completely and reinstall. Sometimes it is because of some android phone it doesn’t pass the safetynet. Last resort will be to factory reset your phone but before please ensure that you have taken the entire back up so that you are not losing any data.